This chic NYC couple decided to have their wedding in lovely Michigan and the resulting photos by Jobst Media couldn’t have been prettier! 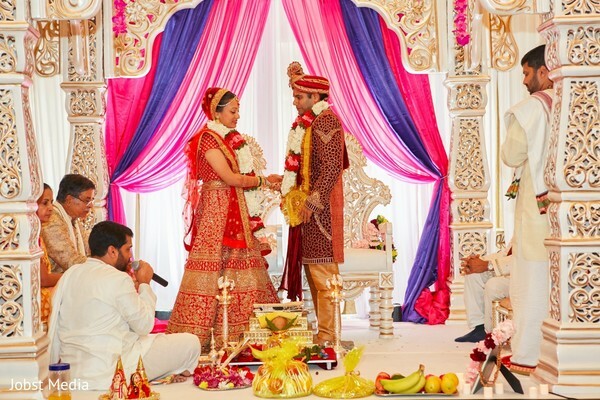 Their sangeet was held at Planterra Conservatory, a one of a kind botanical garden with indoor koi ponds, exotic blooms, and dramatic stone details that transported guests to a tropical paradise. Michigan Maharanis, definitely check this unique venue out for your future wedding events! After such an exciting sangeet, we were left in breathless anticipation for Seema and Vikram’s ceremony to begin! Energetic Vikram kicked off the festivities with his spirited baraat, in which each and every guest was dancing and beaming with happiness! 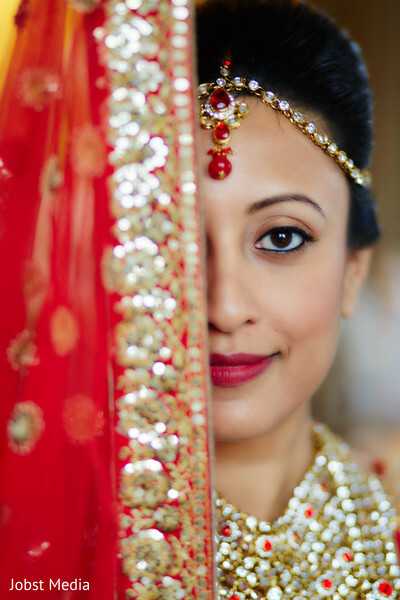 Meanwhile, lovely bride Seema was carefully readying herself in lavish accessories and fashions. 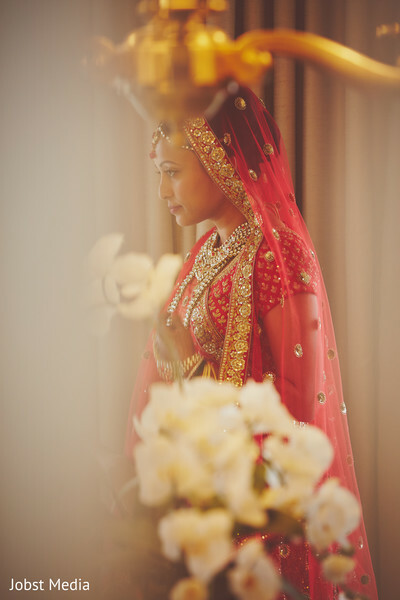 Her rich red lehenga was perfection, covered in sparkling embroidery and stonework. 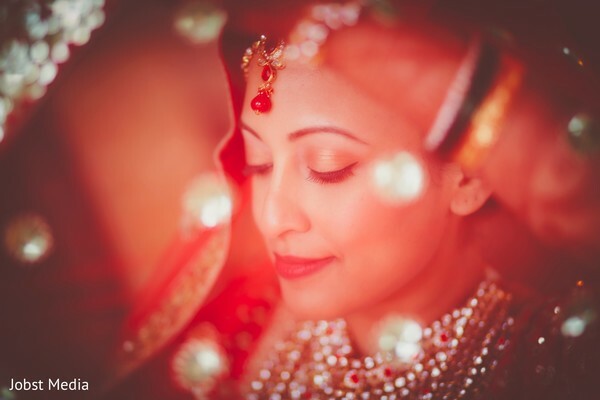 She looked like an ethereal goddess with her glowing skin, ruby lips, and a sophisticated updo embellished with a glittering maang tikka and ornate veil by Ekta Kansara! 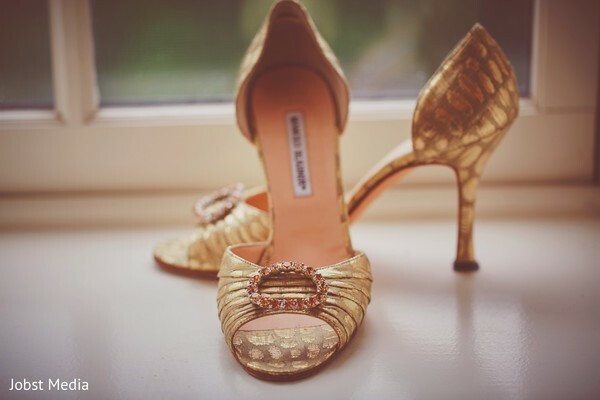 As a final touch, she slipped into gold brocade Manolo Blahniks that would make Carrie Bradshaw herself green with envy! 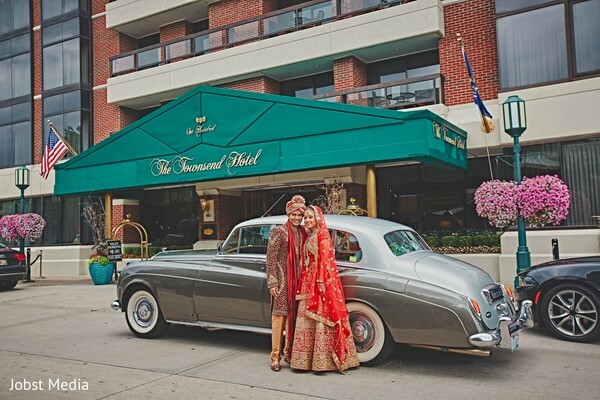 The Townsend Hotel's ballroom was set up to resemble a palace from a past era, with a golden mandap and gleaming chandeliers. 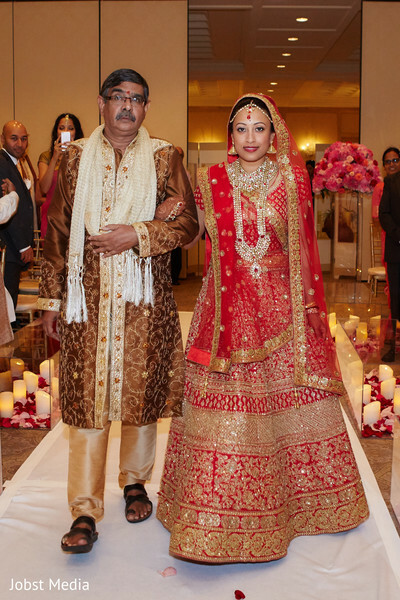 Here at Maharani Weddings, we are big fans of mixing modern and traditional elements, and Blissful Weddings & Events and Bellisario Florist & Colonial Events did a fantastic job melding the two aesthetics! Though the decor was incredibly ornate, they incorporated modern touches, such as lining the aisle with glass boxes filled with petals and candles. So pretty! You can check out the beautiful full gallery by Jobst Media for more design inspiration! 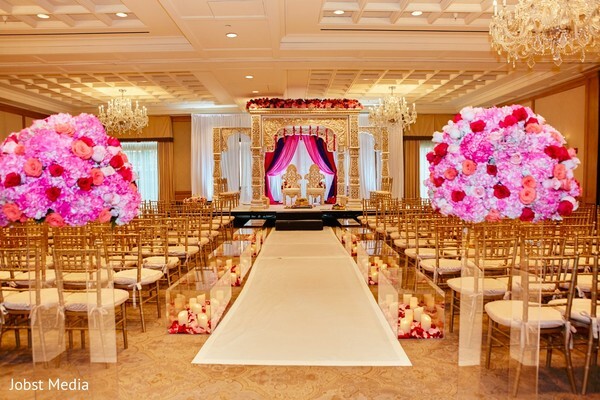 We’ll be back oh so soon with all of Seema & Vikram’s jaw dropping reception details!